Throughout the year you'll find traditional and contemporary entertainment taking place in the many pubs in town. 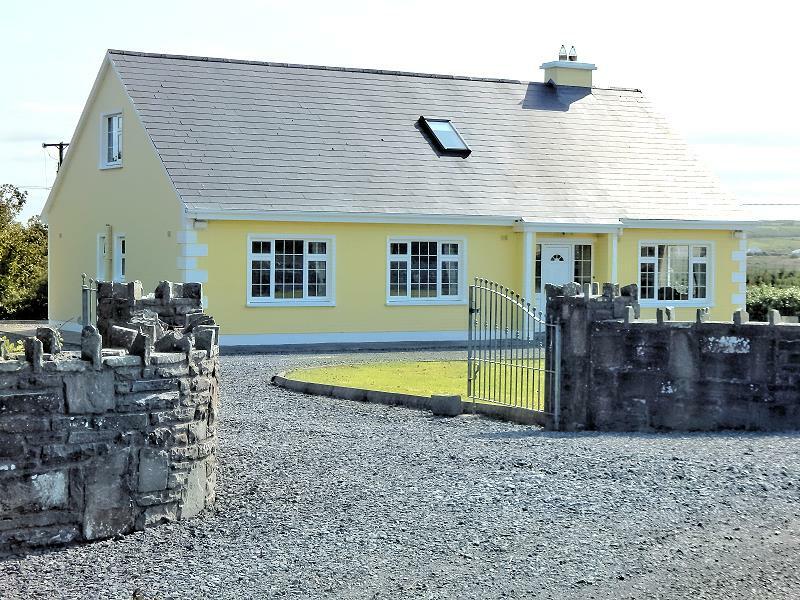 Doolin Breeze Holiday Home is located approx. 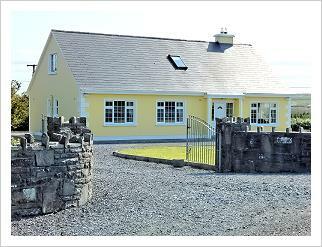 2 kms outside the spa town of Lisdoonvarna, and 4 kms from Doolin, County Clare on the west coast of Ireland. 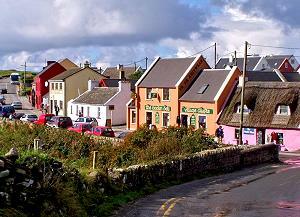 Doolin or 'Fisher Street' as it was known is a great fishing village. It has also long been associated with great Irish music sessions. 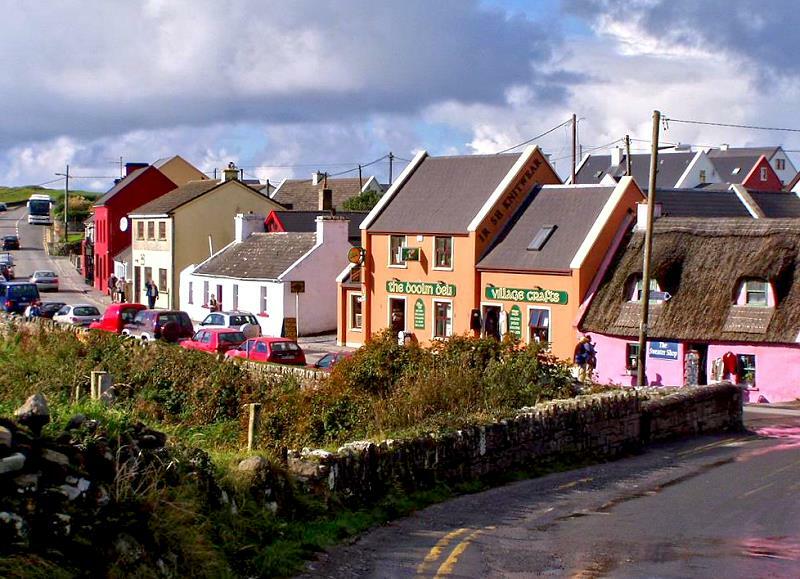 A visit to the Aran Islands is an unforgettable trip and one that you cannot afford to miss. The islanders traditionally made their living from fishing. While the men were out fishing the women knitted the traditional 'Aran Ganseys'. Boats leave several times daily from Doolin Pier. 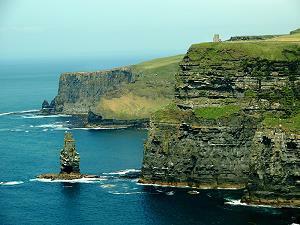 The famous Cliffs of Moher stand facing the Atlantic ocean a short distance south. They are very impressive at over 200 mtrs high, and give visitors a good view over Galway Bay and the Aran Islands. 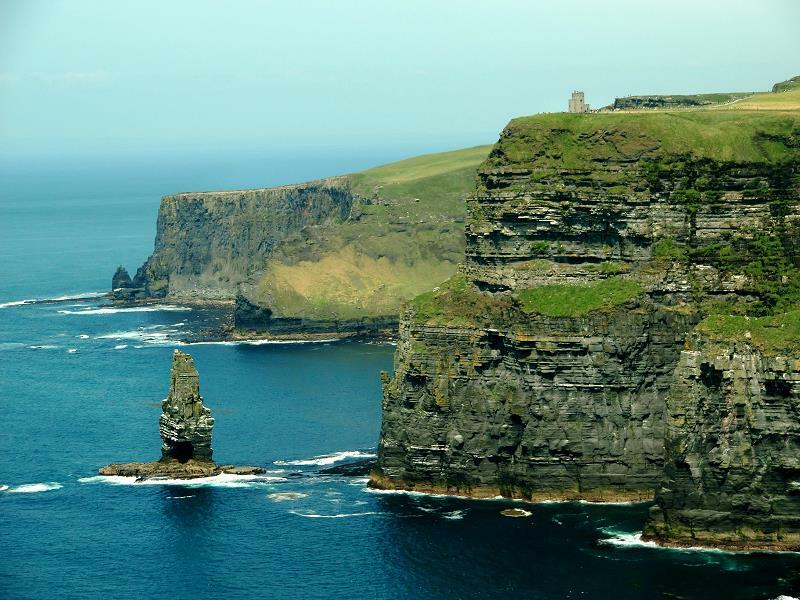 O'Brien's Tower stands guard at one end and Moher Castle is situated at the southern end. The cliffs are home to numerous seabirds, including gannets, razorbills guillemots and puffins, and the area is a birdwatcher's paradise. The Burren are about 500 sq.kms of lunar-like limestone landscape and surely one of the wonders of this world. Its apparent bareness nurtures an internationally famous flora. [more on next page...] When Stone Age farmers settled in the Burren they found the area forested. By late medieval times the felling of timber and the grazing of cattle produced to-days skeletal landscape. Man has left a mass of evidence of having lived on the Burren for thousands of years. 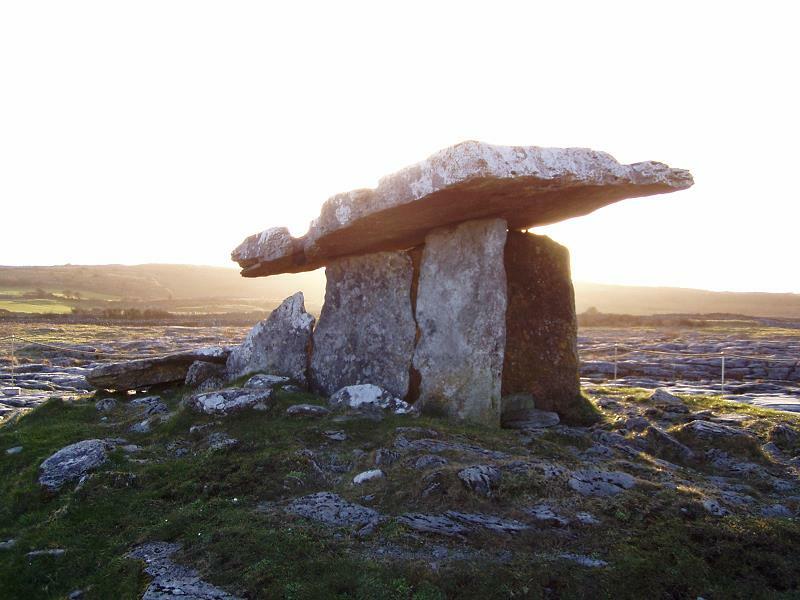 Material remains abound, including megalithic tombs, stone and earth ring forts, round towers,Poulnabrone Dolmen The Burren medieval churches, monasteries and castles. Burials took place in Poulnabrone and other dolmens over a period of 600 years from 5200 to 5800 years ago. The Burren coastline north of Doolin shows a dramatic and picturesque mixture of stone, beaches and a crystal clear blue Atlantic ocean. The Aran Islands are an extension of the Burren landscape. There are numerous caves, one of which is Doolin Cave, only a few minutes from the house. Ailwee Cave, near Ballyvaughan is also open to visitors. You'll get an inside look into the area and its mysteries if you visit the Burren Centre in Kilfenora. The Burren are great for walking and hiking.